CNN and Bloomberg on Friday withdrew from a Saudi investment conference at the end of the month, following other media companies that have dropped plans to participate after the disappearance of Saudi dissident journalist Jamal Khashoggi. CNN said it would no longer be participating in the Future Investment Initiative Conference via its communications department. "Bloomberg will no longer serve as a media partner for the Future Investment Initiative. As we do with every major event in the region, we plan to cover any news from our regional news bureau," a Bloomberg News spokesperson told Reuters. The Future Investment Initiative is hosted by Saudi Crown Prince Mohammed bin Salman and is part of his Vision 2030 plan to break the country's reliance on oil. But Khashoggi's disappearance has prompted several big names to drop their support, including Uber CEO Dara Khosrowshahi, billionaire philanthropist and Los Angeles Times owner Patrick Soon-Shiong, British billionaire Richard Branson and World Bank President Jim Yong Kim. The New York Times, the Economist and CNBC have also announced they would not attend, as have several prominent journalists. Karen Attiah, who edits the Global Opinions section of the Washington Post, the outlet Khashoggi worked for, urged a boycott of Salman's flagship conference. "American investors, media professionals and government officials are going to Saudi Arabia for its Future Investment Initiative conference in Riyadh Oct 23," she wrote on Twitter. "After WaPo journalist Jamal #Khashoggi's likely murder by KSA, these partners should WITHDRAW." Khashoggi, a columnist for the newspaper, has not been heard from since Oct. 2 when he visited the Saudi Consulate in Istanbul. Speculation continues to grow that he was killed by Saudi authorities. On the same day that he arrived at the consulate 15 Saudis, including several officials, arrived in Istanbul on two planes and visited the consulate while Khashoggi was also inside, police sources said. All of the identified individuals have since left Turkey. 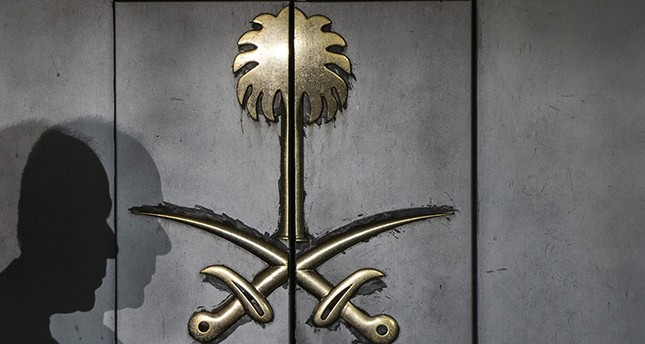 Saudi authorities have yet to give a clear explanation of Khashoggi's fate, while several countries -- particularly Turkey, the U.S. and the U.K. -- have expressed their desire that the matter should be elucidated as soon as possible.